Working through First Grade together! Hi! I am here linking up with Doodlebugs for Five for Friday! This week it's going to be ALL about Back to School! I am SO excited about this upcoming school year, and have been antsy to be in my classroom for the past couple of weeks! Last year my word wall suffered. I was not prepared, and couldn't keep up! At the end of this year I typed up all the words, laminated, and cut them out! They are now organized by lesson, and are ready to go! I also made, printed, and laminated these alphabet cards for my word wall. I LOVE them! You can grab these HERE in my BTS Mega Bundle! I am so excited to have a legit writing center this year. We focused so much on writing at the end of the year that I am so excited to jump into to writing with both feet. 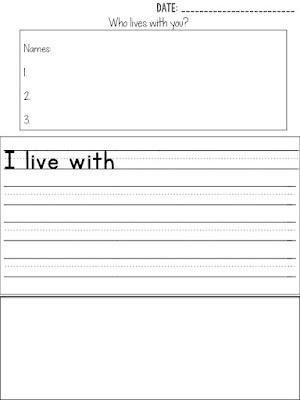 The poster is a self eval for handwriting. The blue hanging pocket thing is AWESOME! You can hang paper, erasers, and all of the goodies that you need for writing. Last year I ended this year with a focus on AR quizzes. Students were more independent, and were better readers. The kids were SO motivated by AR that they would switch library books. We have a "Read it Three Times" rule before they can take an AR quiz. I am so excited to kick off the year with this cute wall so kiddos can track their own progress! 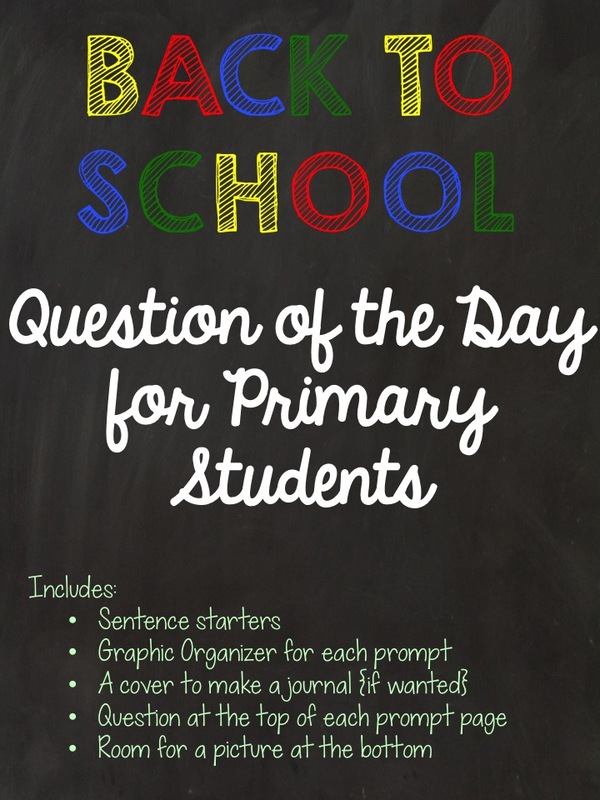 This Back to School Question of the Day Journal I made! I am so proud of this little packet. 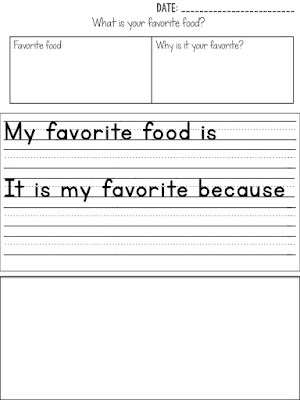 I think it's a great way to get the kiddos writing right out of the gate! I use question of the day journals all year, so this is a great building block into REALLY writing. You can grab this in my store HERE, and see my blog post about it HERE. I cannot wait to get some kiddo writing into these! These cute little buckets! I found these in the Dollar Spot at Target! I put the little chalk numbers on them to identify what table they go with, but in the past it didn't really matter who grabs them, so the numbers may go away. My Student Command Center is on top, and will fill up the rest of the shelves. There are highlighters, erasers, stick glue, and extra pencils up there. We will see how it goes, but I need to remember to train, train, train the kiddos on how to be responsible with supplies. The kids will keep a glue stick, an eraser, and scissors in a plastic supply box in their desks. Crayons will be communal! Be sure to link up with Doodlebugs for your Five for Friday! Back to School Question of the Day Giveaway! TpT Seller Challenge: Week 4!